Here is a 1898 Tea Tin created specifically for the Buffalo Bill Wild West Show when he went to England. The Artists name was Adolph Schryer. 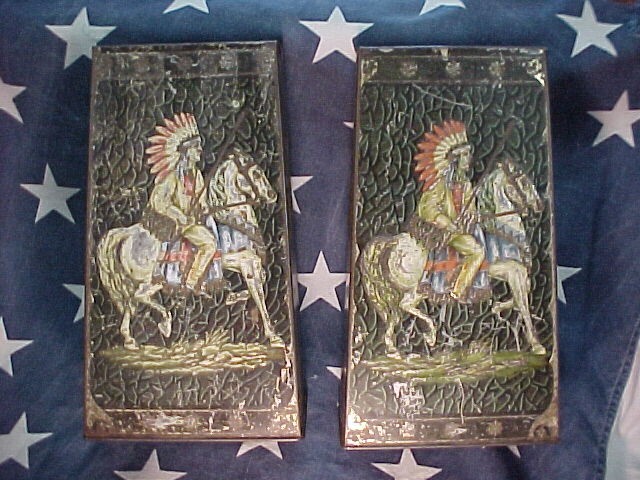 The Indian Motif on the front and the Arabian on Horseback on the back representing the Wild West Show "East and West" as it was billed. Email or call for price. 406 270-2842 cell Very Rare Please email cowboycabin@centurytel.net with questions or call 406 270-2842.